Moving is exciting. Moving is challenging. Moving is a lot of work And, as we are demonstrating, moving is time-consuming! We are still working hard to get JonRocket.com back on line. We have all of our inventory in our new office. Most of it is unpacked and sorted. We still have some things to unpack. We are also continuing to move furniture and fixtures into the office. Almost all of the furniture and fixtures are new (or, at least, new to us). Some arrived in big cartons with assembly instructions spelled out in hieroglyphics. The office now has internet service and we are starting to set up the computers and printers that we use to process orders. We started to “flip the switch” to enable the online store this weekend (March 4-5). But, realized that we weren’t quite ready and trying to process orders while still setting up the office was not really a good idea. Bracha and I apologize for how long it is taking, but we have decided to continue to take our time and do things right. 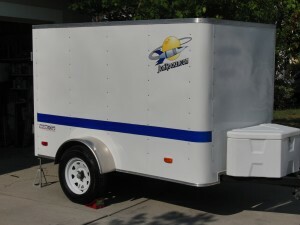 We are currently in the process of moving JonRocket.com to a new location. We will have more room to stock a larger selection of rocketry kits, supplies, accessories, and motors. During the move, we are closing our online store. Once the move is completed, we’ll be back! We understand that this is not the best time, but a combination of circumstances has forced us to close our store temporarily during the move. We had hoped to be back in business in time to support your holiday shopping, but the move is taking longer than expected. We are now estimating that our store will be back online around the end of February. Thanks to every one of our customers and friends for your support since we started running JonRocket.com over seven years ago. We look forward to serving the rocketry community for many years to come! No bother at all. We appreciate your business and will get your recent order in the mail to you tomorrow! Thanks. Just checking… you will send an e-mail notice to every registered user letting us know when you will be operating again, right? We don’t want to “spam” anyone by sending a message to all registered users. But, we will send a message to everyone that has subscribed to our newsletter. You can log in to our website then select “My Account” / “Subscribe or unsubscribe from newsletters” to subscribe to the newsletter. Or, you can visit the page for a popular product (such as the Big Bertha) and fill out the form to be notified when the product is back in stock. You will receive a one-time email when the product is available (which will let you know that we are back). Of course, we’ll also post notices here in our blog and on our Facebook page. First thing I do every morning is check to see if your back yet. Patiently waiting for the Grand Reopening Sale!!! Saving my pop cans and pennies to spend. Thanks. I apologize that it is taking longer than we had expected. We are moving into a new home at the same time that we are moving the business. So, it’s been a bit overwhelming. But, it’s also fun and exciting. BTW, now that we’re getting closer, we’re posting some updates (with photos) on our Facebook page.